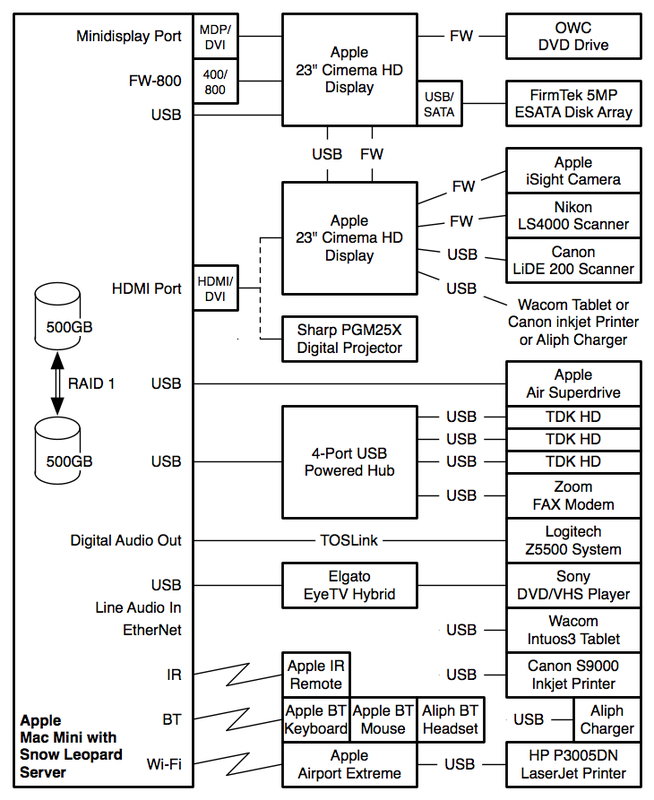 At Rockwell, and later at Alcatel, I managed network management products – largely software, mostly misunderstood, and greatly unappreciated products. These products were very complex and somewhat “cantankerous”. They overtaxed the computational resources of the time and required terrific amounts of RAM. One of my network management products required 2GB of ram, and in that day (the very late’80s), it was the largest amount of RAM that HP had ever installed in a computer. I think that RAM cost us upwards of $20,000 per CPU. RAM is much cheaper, now! Wrestling for company resources was a brutal experience – it was nasty politics at times. When a sales opportunity for transport products fell through, the excuse was a lack of the right network management product in the product line in one instance. When a transport product release was late, one excuse ventured was distraction and insufficient resources in the development groups due in part to a focus on interfacing with “unnecessary network management products”. When budgets were cut, the first target was the network management product line that “contributed nothing” to the bottom line – “nothing but headaches…”. Not true – none of those claims were true, but that was the persuasive opinion posed by people who were competing for scarce resources. It required a lot of time and energy to defend my own resources and propel my products forward. I was successful only through the consistent and continuous presentation of facts. Yup – nasty politics – but, that’s reality. Politics is embedded in some way in every decision – in the household, the community, the company and the country. The levers of National politics are the same as corporate politics. When times are good, “the facts speak for themselves” – sometimes a bit too gloriously and sometimes a bit embellished – and no one notices the inaccuracies. When times are bad, it seems that accurate facts don’t matter at all, and the search for a scapegoat commences – or a distraction surfaces – or falsehoods are “a dime a dozen”. What is most distressing is that in good times and bad, facts simply don’t seem to matter today – emotions and persuasively posed opinions easily take the center stage, scapegoating becomes a common defense tactic, and misdirected retaliation satisfies the masses. Falsehoods are readily swallowed by those who “like what they hear” and who are either too busy or too lazy to dig just a little bit deeper to check the facts for themselves. Sometimes, I think I am watching a bunch of children run the world! My Point: Where are the Facts in this Election? The National politics today is rich in scapegoats, lies and misdirected retaliation – “Muslim terrorists”, illegal immigrants (anti-any immigrants for that matter), the Chinese, the immoral perverts who prey on our children. Dribble. I was incensed when a news reporter recently quipped that, “we were attacked by Muslims on 9/11”, and that was why there shouldn’t be a Mosque near old World Trade Center. My Goodness – we were attacked by a group of extremists, and extremist groups come in every stripe and color. I guess that we were attacked by Christians in Oklahoma City (try an “extremist group”). What is happening here is that fear is being “farmed” – fed and harvested and transformed into anger. The Nazis were skillful at doing this, and it is beginning to happen right here and right now. Look at the emerging Tea Party – a movement of anger fueled by fear that seeks (through individual voices not well unified, yet) to eliminate the Fed, shred the IRS, halt immigration, abolish the 14th Amendment, withdraw from the World economic community (the Group of 20), and perhaps even pull out of the U.N. And when angry groups are motivated by fear, things get dangerous as reckless and irrational people grab power to make shortsighted changes with a huge potential for dramatic and calamitous unintended consequences. I like the smell of chocolate chip cookies, fresh baked bread – and Facts. Who is dedicated to presenting the facts? Too few people. Solutions to every problem can be compared with four measures: 1) opportunities, 2) risks, 3) benefits and 4) costs. A superior solution maximizes opportunities and benefits, of course. A “wise” solution eliminates current costs and future costs without sacrificing benefits and opportunities or incurring additional risks – you want to get more for less, in other words. This all sounds like common sense, but when one looks at the problem solving process as it plays out in Congress, it is clear that common sense can easily “fly out the window…” My previous post on rescuing the economy is somewhat “tongue-in-cheek”, and more a rant than a constructive article. This article is a constructive muse. #2A – Expand the Small Business Innovation Research (SBIR) initiatives to include commercializing a large number of non-medical engineering solutions. In a nutshell, the SBIR’s current mission is to pull specific medical research out of the university lab and into the commercial marketplace. The SBIR ignores funding basic research – the NSF and the NIH have that mission through other channels. See this link for a SBIR list of current funding opportunities, and it will be clear that the vast majority of SBIR opportunities are medical ones. For example, the DOT’s smart highway initiative seemingly at a standstill today could be propelled forward with a new marketable car-to-car signaling technology. Fund that project through the SBIR! Note that the DOT currently has several SBIR project solicitations – good for them. The DOE already has a funding opportunity or two in the SBIR – good for them, too – expand that department’s SBIR programs with new proposal solicitations for backyard power generation, for example. The above ideas reveal a potentially lower-tech “flavor” of project funding opportunity than currently exists that is better addressable by a larger audience of engineers and technology entrepreneurs. Today, the Government generally relinquishes an equity stake in the SBIR programs. This is a goldmine – a windfall opportunity for a very few, and SBIR programs produce a small or even unmeasurable gain for the taxpayer who funds these programs through their tax dollars. Shouldn’t the taxpayer share in the successes? #2C – The government should retain an equity ownership commensurate with the size of the grant compared to the total equity value of the company – up to 49% equity ownership. The government’s equity ownership must be sold in the equity market within a certain number of years – say, within seven years of the grant award. The government, and by association the people should become stakeholders and share the successes of the the grant awards and exercise some control. This equity ownership posture also reduces the marginal tax rate for the small funded company for a period of time, and it provides oversight and control over the funded company that any investor can conventionally exercise today with shares of stock. The SBIR opportunities should be open to all “comers” equally. #2D – Eliminate all currently advantageous minority owner considerations. Further, there should be an effort to eliminate “double-dipping”. #2E – Eliminate all previously extended State and Federal assistance such as unemployment benefits, job training benefits, welfare benefits, liability awards, damage awards and other same-problem grant awards for all principle participants named in the grant proposal for the duration of the grant program. #2F – Anyone who misuses a grant award should be pursued to retrieve unspent monies, prosecuted for fraud, and they should be “black-balleed” in Federal programs for life! And finally, attract the essential talent as easily as possible. #2G – Extend the employment authorization for the duration of the grant award period for any foreign citizens currently working legally in the USA with expiring authorization who work on one of these grants for more than 50% of their total compensation. Allow these foreign nationals to “but-in-line” in the citizenship process to encourage their permanent role in the USA economy. This last point is important. Skilled and educated foreign nationals who leave the US take opportunity with them to benefit another economy – they “offshore” themselves in a sense if they leave the USA. Retain the talent that is legally here and keep it here and put it to good use for the long term. Everyone benefits. The SBIR is well administered today with their narrow scope. Retaining an equity stake could make the SBIR self-sustaining in the future. The currently lopsided benefit to the medical industry ignores terrific opportunities in other markets that can play a large role in a more prosperous future economy. The SBIR can breathe innovation into many markets with a new expanded role as the Government Venture Capitalist. allow promising companies to receive funding multiple times. I have been fiddling with this post for awhile – I half write it – don’t like it – add and delete. You know where I am coming from. Well, I had a dream in the springtime of 2009. I dreamt that I died with no money in my pocket. The last words I heard were from my insurance advocate who said directly to the doctor standing next to me, “He’s out of money – we have it all. Now, we can pull the plug.” And I awoke to an electrical storm and my cat looking up asking me for breakfast. This dream revealed to me how we are going to save the American economy. I won’t like it one bit. Neither will you. enterprises exporting every good and service possible to other economies. Premise #2: you can’t very easily import healthcare – that service is provided to you directly by a local service provider – a doctor or nurse who examines you, runs tests and supervises your care, or a surgeon, an office or hospital, a testing laboratory minutes or hours away, and by pharmaceuticals that are sold locally. Healthcare is a good contributor to a local economy. Premise #3: healthcare administration, medicines and equipment are all easily exported. A bill for services can just as easily come from Timbuktu as from New York City. You should expect a heavy emphasis in these areas in our future national economy. Premise #4: the healthcare industry accounts for about one-sixth of our national economy today, and that portion is forecast to double over the next 10 years – and continue to grow and become more globally focused. Premise #5: entitlement systems are only sustainable into the long term if individuals on the whole contribute more over their lifetimes that they withdraw from those systems. The Medicare and Social Security systems are likely to change in some significant ways to demand greater rates of contribution over longer periods of time with shorter periods of benefit payout. The longer you live, the longer you can work – and consume healthcare. The longer you work, the more you pay into entitlement systems and the less you withdraw from these systems. Many of us are likely to work into our 70’s – like it or not. Eliminate prolonged, lingering deaths by requiring Living Wills for all system participants. So, if we all spend every dime we have on our healthcare before we die, you and I may very well help rescue our faltering economy – we’ll be doing “our part”, yes sir! And when one runs out of money, well, then I guess you can die – and die quickly when that time comes. It may require an entire country of exuberant healthcare consumers who spend more on their healthcare than on food and shelter to buoy our future national economy. I can’t for the life of me think of a sustainable alternative cure for our current economic woes as we flounder, offshore manufacturing and jobs, and underinvest in many other industries. Likely? Probably not in my lifetime. When my father was late in his life, he pulled me aside one evening on a visit and said in the most serious and sincere tone of voice, “Brian, I want you to have my stamps. Take these boxes back with you.” For him, his stamp collection was a way to see the world from a distance. Every postage stamp told him a story – entertained his fantasy to travel, to meet interesting people and see fascinating places. I am afraid that collecting postage stamps is a dying passion. I don’t know anyone who seriously collects stamps today, but I still collect postage stamps. While I was looking at a box of his old envelops from the ’30s and the ’40s, I knew why stamp collecting was no longer appealing to young people today. Aside from about two years studying physics at the University of Cambridge in England and a trip to France with my mother while he was between semesters, Dad’s travels in his life were limited to North America. Granted, there is a lot to see close to home, but the rest of the world is much, much more… And stamps were his window to the rest of the world he would never see first hand. A cancelled postage stamp can cost nothing to obtain. My father came from a modest family with no disposable income to dedicate to his hobbies, but stamp collecting cost my father and his family virtually nothing but time. Stamp collecting fed my father’s obsessive-compulsive disorder. He was a classic illustration of OCD… He collected everything – books, antiques, stamps, coins, engravings and lithographs, and on and on. I think that stamps were his first obsession. Stamp collecting can also be very social. My father would talk and talk to people he knew, and just before saying “goodbye”, he would ask if they had any postage stamps. He had dozens of his friends “on the look-out” for postage stamps, and stamps were his excuse to visit many of his friends. I think this was good for my father. 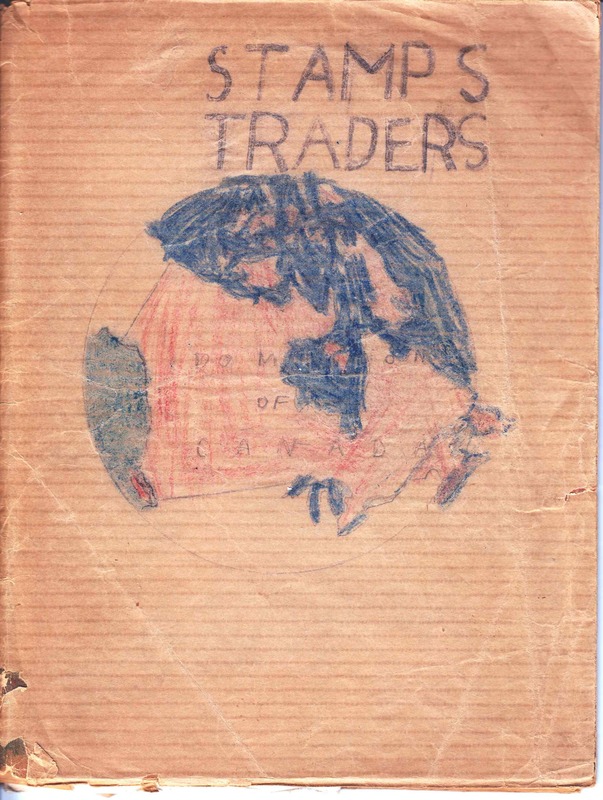 It is a treat to look at my father’s old stamp albums – one from about the age of 6 or 7 came with a companion book for duplicates labeled in pencil and illustrated in crayon: “Stamps – Traders – Dominion of Canada”. See the somewhat polar view of North America? See the Great Lakes and the Pacific Ocean with the rather longish Pacific coastline south of Alaska? You can just barely make out “Dominion” in pencil across the Territories. Today, the Internet provides that fantasy “window to the world” very effectively. Today, society provides many surpluses to feed a person’s OCD. Today, most children would rather sit in front of a TV or a computer. Today, time seems to be too precious. Today, stamp collection is a dying passion – but it is still one of My passions. The apple doesn’t fall far from the tree, I guess. My primary concern was whether I could attach all the peripherals I use, and if so, whether the I/O bandwidth would be sufficient. So far, so good… I still wish I had an eSATA port in addition to all the other ports that the computer provides. The little Addonics eSATA adapter provides adequate data throughput for streaming HD movies from the disk array, though, and I am making do. There are known knowns. These are things we know that we know. There are known unknowns. That is to say, there are things that we know we don’t know. But there are also unknown unknowns. There are things we don’t know we don’t know. This researcher and I were talking about the “next big thing”. What would it be? Sustainable nuclear fusion? A cancer vaccine? “I suspect that it will be something completely different and unexpected. What? I don’t know…” I said. And in that moment, I recalled Rumsfeld’s remark. There are unknown unknowns, and in that realm there are discoveries and “big things” tomorrow that we can’t quite conceive of today. Pants – the key dimensions are diameter and length – conventionally, the waist and inseam. Every pair of jeans I tried on had a different length because a) the front rise and rear rise of each garment was different, and b) the fabric was cut inaccurately. If pants were specified by the outer seam instead of the inner seam, pants from different manufacturers would have been closer to the same length. The inseam really tells one very little about the garment – whoever thought that key measure up was certainly no engineer… If the rear rise was specified, I would know exactly how roomy the pant would be in the seat from any manufacturer. And if I knew the circumference of the bottom of the leg, I would know about the taper of the pant, too. Shirts – the conventional key dimensions are neck circumference and sleeve length from neck to wrist over the shoulder (actually a better start than pants…). Most men find a brand of shirt that fits well, and they “stick to it” because other brands of shirt will fit very differently – just like pants… If I knew the length of the back of the shirt from the collar to the bottom seam, I would know exactly how likely a shirt from any manufacturer was to “pull out” from my pants, for example. If I knew the shoulder width, I would know better how the shirt would hang; and if I knew the bottom circumference, I would know about the taper of the shirt. Sadly, the clothing industry has a flawed basis for specifying garments. So does the shoe industry. It causes me no end of grief. I carry my specifications with me whenever I shop for clothes. Otherwise, shopping for clothes has the same allure for me as throwing darts (I can’t hit the broad side of a barn). With these “best fit specifications” in hand, I can measure anything in seconds and know if I will like the fit without trying the garment on!